If you have not seen the show, I highly recommend starting at the beginning. 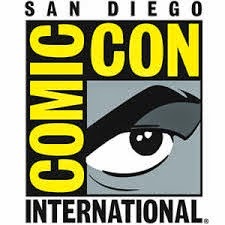 The show contains and ensemble cast with intricate and detailed storylines. This is not a show with standalone episodes. If you have the means and the time to binge watch, I recommend spending a weekend watching the ten episodes back to back. If you insist on jumping in at the second season, read my review of season one for a bit of background. The people of New York City in 1901 have many things to worry them. The Plague is now a huge concern. It has shown itself in San Francisco and now New York City. Dr. Gallinger’s (Eric Johnson) wife has returned home and things are hopefully looking up as she picks new teeth and hopes to one day have a house full of children. 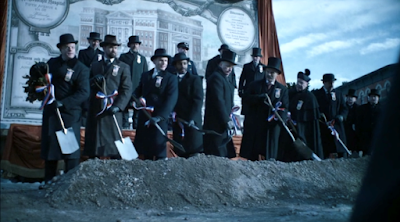 Dr. Thackery (Clive Owen) has been absent from the Knick as they prepare to build a bigger better hospital. As the doctors at The Knick and Mt. Sinai innovate and provide the groundwork for the lifesaving procedures we have today, greed and racism are at the heart of many conflicts. 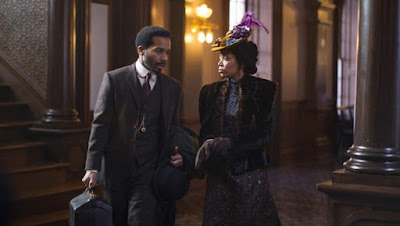 Episode 1: Ten Knots (54:55) – Dr. Edwards (Andre Holland) has been acting Chief of Surgery in Thackery’s absence and he know asks the Board to make the position permanent. 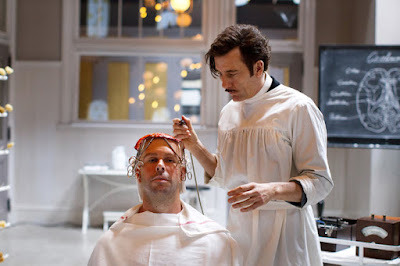 Dr. Gallinger is able to return to the Knick but refuses to sit in a subordinate role to Edwards. In order to set things right at the hospital he seeks to rehabilitate and reinstate Dr. Thackery as head of surgery. Episode 2: You’re No Rose (56:37) – Thackery returns and wishes to begin researching addiction. Cornelia uncovers information which will have far reaching implications. As Bertie gets ready for a change, Barrow is up to no good skimming off the new Knick. Episode 3: The Best with the Best to Get the… (57:42) – Lucy (Eve Hewson) decided to confess her sins and doesn’t get the reaction she expected from her preacher father. Thackery and Edwards work together to test his theories. A writer named Genevieve Edwards is introduced, and she immediately intrigues Bertie. Episode 4: Wonderful Surprises (55:51) – Thackery takes big risks to treat Abby’s syphilis. Cleary struggles to help Harriet see her way clear of the crimes they both committed. Episode 5: Whiplash (57:31) – An accident occurs during the work on the new subway and The Knick is flooded with victims. Cornelia continues to investigate Spieght’s death which Thackery tests his addiction theory. Episode 6: There Are Rules (57:07) – A pair of conjoined twins on display have attracted the attention of Thackery. Bertie asks Edwards to assist him with a very personal case. Lucy makes her desires known and begins to assert herself. Episode 7: Williams and Walker (57:17) – The twins will be separated in the packed theater, and it will be recorded on film for the first time. Thackery continues his work on addiction. Cornelia (Juliet Rylance) earns first hand from the dock master of the dangerous arrangements made on behalf of the Robertson Shipping Company. Episode 8: Not Well At All (52:11) – Thackery returns to the issue of Abby’s appearance. Dr. Gallinger learns that his wife is not progressing as hoped. Harriet and Cleary prepare to go into the contraception business. Episode 9: Do You Remember Moon Flower? (53:16) – We learn how Dr. Thackery met Robertson and how he came to be employed at The Knick. Gallinger defends himself against Edwards’ accusations to the medical board. Episode 10: This Is All We Are (56:02) – In the season finale, Thackery takes control of his own surgery. Cornelia will learn more about her family. Gallinger considers an exciting new opportunity to advance the field of Eugenics. Season two contains all the drama and intrigue from season one and then some. They have stepped up the drama as well as the surgical procedures – this show is not for the faint-hearted or weak stomached viewer. With graphic medical procedures using the tools and techniques of the period this show is not for the faint of heart or those with a weak stomach. I personally enjoy reality medical shows and do not shy away from blood but the first episode contains a puss filled abscess that made me look away. I’m not someone who typically enjoys story lines from 100 or more years ago, but I enjoyed everything about both seasons of "The Knick." I appreciate the care they took in recreating the tiniest of details. This review is for a streamed HD Digital copy that was watched in HDX through Vudu. Costume designers took tremendous effort to recreate the turn of the century apparel. Texture in fabrics comes across nicely with excellent fine detail. The surgical procedures are incredibly realistic and blood is shown in varying shades from a healthy red blood flow to the black ooze of a person with little time left on this Earth. Flesh tones are accurate and consistent throughout the show. Again, without a Blu-ray disc, I can only judge audio quality based on the digital copy but I was pleased. Horses trotting through the streets are weighty. A fire later in the season crackles and then roars with complete believability. Dialogue is intelligible and consistent throughout. Episode 1 (1:17) – A look at the abscess and the far too lifelike puss that caused the cast and viewers to gag. Episode 2 (1:20) – Focused on Dr. Edwards’ ocular sequence. Episode 4 (1:43) – An analysis of Thackery’s autopsy of a heroin addict with a detailed description of the body casted from the actress. Episode 5 (2:00) – The brain surgery sequence with the alert patient. Inside the Costume Shop (5:42) – Costume designer Ellen Mirojnick provides a tour of the well-tailored wardrobe. Examination (4:52) – A preview of season two with cast and crew interviews and clips from the upcoming season. Addiction: 1901 (1:40) Clive Owen and others talk about drug addiction in 1901. Feminism: 1901 (1:33) Women play a large part in the show and the world of The Knick. Eugenics (1:39) – Cast and crew discuss the idea of genetic selection/improvement. Race (2:44) – How race issues are seen and dealt with during the time period. Corruption (2:29) – A look at the complicated webs of corruption and greed. Knicktoids (2:08) – Behind the scenes details and facts. The Knick Under…(10:28) - The color palette and set designs intended to create the feeling of a photograph. Invitation to the Ball (5:30) – The lavish location and costumes that made up the charity ball. "The Knick" is certainly not for everyone. The show is contains graphic surgeries, drug use, and medical conditions that would make a lot of people turn away. You have to pay attention though, because if you blink, you’ll miss a lot. The complicated stories are expertly interwoven and are not overwhelming. I got the most out of the show when I binge watched. The show contains “post op” special features for each episode to sum up what just happened, or remind you before watching the next episode. Although hard to watch, I also enjoyed the “inside the Body Shop” features that detailed the logistics of creating a particular body or surgical procedure. 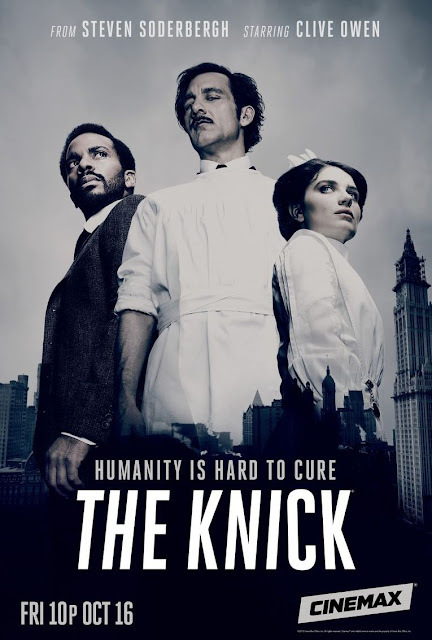 I am not someone who is usually interested in a show set so long ago but I’ve easily gotten hooked on the world of "The Knick" and I can’t wait to see what season three brings.